where women take initiatives and are heard. In December 2012, the Fellows formed the JWLI Association (JWLIA), a Tokyo-based voluntary group led by dedicated volunteer staff, with a mission to share the knowledge, learning and experience of JWLI to other women leaders in Japan. JWLIA plays a central role in Japan to connect the JWLI fellows who are in various locations geographically and in fields such as domestic and international nonprofits, social welfare, education and the private sector. JWLIA provides the Fellows with opportunities for support and collaboration as well as mutual education through workshops, symposiums and study sessions. Working closely with the JWLI Boston team, JWLIA provides crucial support in Japan before and after the Boston program. To support the JWLI recruitment process throughout the year in the areas of publicity, candidate screening, hosting an orientation and a reporting event in Tokyo, preparing a final report. To support members to continue their philanthropic activities. The JWLI Association (JWLIA) has received generous grants from Bloomingdale’s in Boston. In order to make full use of these grants, JWLIA set up the JWLIA Fund to support small, women-led nonprofit organizations in Japan. In 2014, JWLIA selected six organizations and offered each project a grant of 100,000 YEN (approximately $1000) from the JWLIA Fund. In 2015, two organizations received these grants. Yuyake Kodomo Shokudo (meaning “evening cafeteria for kids”) was established in December 2014 in Nerima, Tokyo. Twice a month, the organization provides nutritional dinner. This is also a welcoming community for children from single-mother households. Additionally, the organization offers study sessions to children whose parent(s) cannot afford them going to prep schools. Anyone can come to dinner, not just the children from single-mother households; the organization aims to establish a community with diverse people, not just the ones from the under served communities. The elderlies who live alone and young people also participate in the dinner events, making a home-like atmosphere. Recently, the number of participants in Kodomo Shokudo has been increasing. The donation will be used for purchasing additional kitchenware and text books and paying commuting fees to the volunteers. Additionally, the organization is planning to host outdoor activities to strengthen the relationships between the participants. GDM Fukushima, which was established in January 2018, is an organization that aims to create a connection between the local people and the local agriculture. On March 11, 2011, when the earthquake hit Tohoku, residents of Namie city, Fukushima, had to evacuate quickly. Since after the evacuation order was lifted, convenience stores have been the only places where people could buy groceries. To get fresh produce, people in Namie city have to travel to the city nearby. Currently farming in Namie city is on a trial period, and it will take more time until people can go back to the original lifestyle. The organization was established after some nonprofits and the city hall of Namie consulted with the founder of GDM Fukushima whether they could start a new service so that people who cannot travel to the adjacent city, such as elderlies, can have easier access to fresh produce. The organization participates in various events from operating farmers markets to hosting agriculture-related events. In addition, GDM Fukushima also offers vegetable delivery services to Fukushima Station and Namie city. The grant will be to fund the delivery service and for GDM Fukushima to travel 50 miles to Namie city. Aozora Roudoku provides an online library of audibly read book. Initially, begun and read by professional announcers, the library has now expanded to include works read by those in the midst of learning professional audible reading. The organization has been working on a development of a software that link letters and readings. Planning to increase the variation of fairy tales. There is a need to increase the number of volunteers as well. Would like to use JWLIA Fund for buying recording tools, creating marketing materials for fundraising, and creating a user-friendly website. Edible Schoolyard Project, founded in 1995, aims to connect the experience of school to the real, lived experience of their students by prioritizing access to healthy foods integral in having a strong start at school and in life. Aiwa Elementary School, a model business, is located in Tama New Town. In this school district, 30-40% are single parent households or households on welfare. Many students are eating meals alone. After consulting repeatedly with the Board of Education, it started as a model business in 2014. Aiwa Elementary School currently is the only eligible school in Japan. The school does not have PTA. Creating a curriculum with the teachers to teach kids circulation of resources and symbiosis in nature. Need JWLIA Fund for dispatching lecturers with expertise and qualification to teach as an instructor. 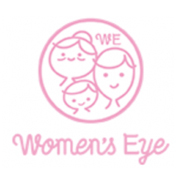 Women’s Eye, a nonprofit organization based in Miyagi, was established immediately after the Tohoku disaster in 2011. This grassroots organization supports women to become active in rebuilding their own lives and communities in Tohoku. Learning from successful cases where single mothers achieved financial stability. Providing resources to find jobs. Supporting women who were suffering or have suffered from domestic violence. Providing wellness and health tips and resources, including mental health. Connecting women with legal resources. SP Japan, established in Tokyo in 2014, aims to foster social, community-based parenting. Their approach encourages the healthy growth of all children by bringing together people with and without kids through various activities. SP Japan uses stitching and quilting as a tool to bring women together to create dialogue and cultivates an environment of mutual support. Through stitching and quilting workshops, people can exchange ideas, experiences, and advice on parenting. They also provide a space for expecting mothers and/or mothers of newborn babies to enjoy conversations on concerns of childbirth and childcare. For women who had stillbirths, the organization provides support systems to help them overcome their losses. To open a café in a new location and use this café to host stitching and quilting events. To increase the number of hospitals with stitching and quilting workshops for their patients to gather and to create a sense of community. To create stitching and quilting pieces to commemorate stillborn children. To implement stitching and quilting events at hospitals in Tohoku. Revival of seaweed aquaculture at the Utatsuyoriki area of Minami-Sanriku in Miyagi Prefecture. Research of radiation exposure conducted done by Team Mamabeku, a volunteering mothers’ group at Iwaki City in Fukushima Prefecture. Overall levels of radiation exposure. Research by Team Mamabeku measuring radiation levels at 30 schools in Iwaki City. The status of decontamination of radiation. Run a hotline for Filipino women who are married to Japanese men to share information and provide referrals for resources. Many wives from the Philippines tend to live with their Japanese parents-in-law. Due to cultural differences and language barriers these women live under tremendous pressure, and often have trouble communicating with their Japanese husbands and in-laws. This hotline also helps advise women with issues of raising children and/or domestic violence. Organize workshops on topics among the Filipino immigrant women such as stress management, and health and wellness. For instance, ten workshops were held in Tohoku, including five in Iwate, two in Miyagi, and three in Fukushima. These workshops explored topics including stress management and health examinations. The workshops also helped children in the Tohoku area through art therapy. Established other weekend classes for Filipino mothers and their children. In class Filipino mothers learn local laws, regulations and health management techniques so they can be confident about being independent. These classes alsoteach their children about the Filipino culture. The fund was used to host events in Tohoku. In July 2014, KAFIN held a workshop in Fukushima about stress management, raising multiracial children, and group counseling for domestic violence. Similar workshops on the same topics were held in September and October 2014 in Miyagi. Set up projects and workshops to promote active civic engagement. Make recommendations to the prefectural government about designating more women to become committee members for governmental councils. Host workshops for women on career development and job readiness. Offer lectures by former female cabinet members on successful women’s leadership. Organize various events about gender equality. With the grant, Women’s Will Gunma held a lecture to support Tohoku on November 8th, 2014 in partnership with Gunma Fuyu Kai, another women’s organization in Gunma. The lecturer spoke about the reconstruction of the oyster farming industry and its importance for the region’s economy. Many women in the Tohoku region rely on this industry for part-time income and to contribute to their families’ financial stability. I am OK was started by a woman whose child was diagnosed with a mild developmental challenge. She created the I am OK program in order to provide services, classes, and social skill training for children who experience developmental challenges. The organization seeks to improve communication, build teamwork, and provide a fun space for children enrolled in the program. Mothers have also gotten involved by taking part in managing these activities. The grant was used to offer transportation for children and accompanying teachers participating in a two-night camp program. The camp offered activities to encourage children to grow, be independent, and to learn. Establish the Baby Visiting Program in which public health workers and nurses visit households with babies up to 2 months old. Provide multilingual and multicultural services to help Thai, Chinese, and English speaking mothers to communicate their concerns with public health nurses. Continue providing free baby visiting services. Assist in covering the transportation costs for volunteers to approach mothers who are Thai, Chinese, and Caucasian. Project HANA was established after the passing of a flower arrangement teacher, in whose memory her home was renovated into a community center for residents in Kitami city, Hokkaido with purposes of strengthening local neighborhood relations. Establish a gathering place for local residents, regardless of age and gender. Host activities for the community such as flower arranging, calligraphy, and tea parties.